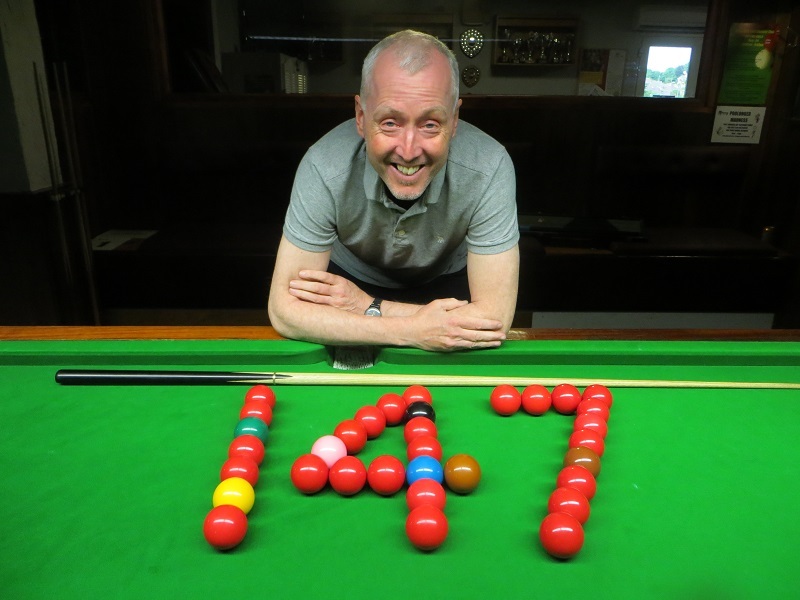 JOHN Hunter has made a 147 break in an exhibition match. It has to be said that knocking in a maximum at the age of 52 is not a bad effort. 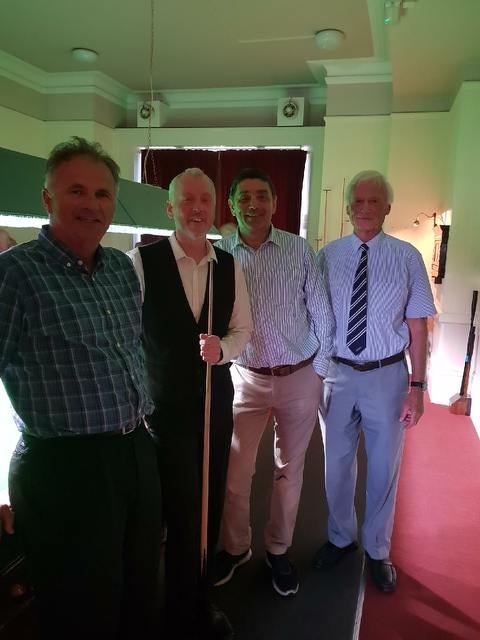 Hunter had arranged to take on a six-man team at The Bournemouth & District Constitutional Club. 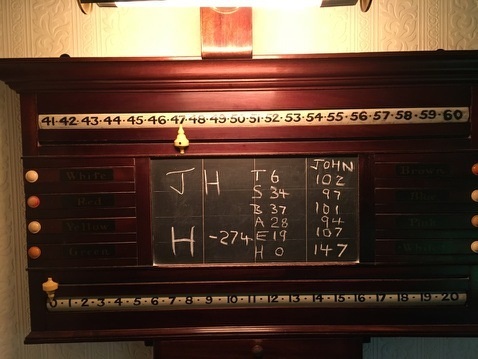 Giving the home side a 250-point handicap start across all six frames, Hunter said he felt under pressure to perform and entertain the 25-strong crowd. But by the time the final frame against event organiser Herman Desmier started, he hadn’t registered any breaks above 60. “I felt a bit of pressure to deliver because Herman did big me up a bit,” laughed Hunter. “As each frame passed, I was getting a little frustrated as I so wanted to make a notable break for everyone. Once he got into the 70s, the chat from the crowd died down and the break continued in total silence. Hunter, a World Snooker community coach and still a prolific century breaker, was left in perfect position for the final pink and black. “The nerves were just incredible,” he said. “I was shaking so much. Hunter’s highest break in competition is 139. He has made two 147s previously in practice matches. The last one was against the late Graham Lee – about 30 years ago.